Under Armour Magnetico gets a class treatment | Say hello to the new Blackout Magnetico! Around a month ago Under Armour introduced their brand new silo, Under Armour Magnetico, now they are ready to give us a whole new colourway, adding more class to the Magnetico. Honestly who doesn’t love black boots? 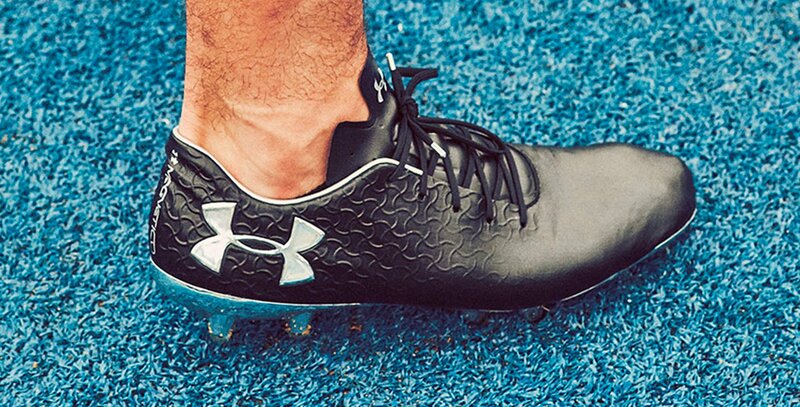 Under Armour released their brand new silo, Magnetico, as the successor to the Clutchfit silo. The boot offers great technologies, that gives you a Zero break-in time. In a time of rapid launches across brans, we get Under Armours bid for a blackout boot. My personal opinion to this boot, is that they might just have nailed it and just can’t wait to see it in action. If you are just like me, and almost only play in blackout boot, you know “class players”… Then you’ll find this boots just as it should be. In a time of snowy weather, windy evenings and days only being around the freezing point, especially here in Scandinavia, it’s great to see that a pair of Blackout boots can light up the pitch as the new UA Magnetico boots. The combination of a blackout and chrome is fantastic, but adding a Zero break-in time is an awesome combo. Imagine this: Going to practice with your brand new Magnetico boots and just put them on and you are ready to dominate the game? Sound like my cup of tea, in these cold days! The UA Magnetico are still the same tech-wise. You get the Zero break-in time feature and the true to your form. This is all due to the FormTrue technology, which also give you a barefoot touch, and is perfect for getting the best touch on the ball, so you can make the decisive through ball setting up the goal. You also get the cone stud configuration that gives you maximum traction, so you maximize your speed and agility. But hey! When you take closer look to the studs, then check out that sweet chrome sole. It seems like Under Armour has joined the chrome hype battle as well. Totally in love with the boots? We understand! Get your pair when they are available right here!